During the Smackover School District Board Meeting on Monday, October 22, Jana Reynolds, Technology Administrator for the Smackover School District, released the new Comprehensive Integrated District Technology Plan. During her presentation, Reynolds stated that the goal during the 2012-2013 school year was to build the network infrastructure by increasing broadband access to all campuses. With that foundation in place, the focus of the technology department now is to integrate technology into the curriculum with the purpose of increasing student engagement and student achievement. Providing appropriate technology devices to support the various job functions of teachers and administrators. Increased project-based learning for students. Dave Wilcox, superintendent of the Smackover School District, strongly supports the new technology plan. Wilcox stated that this plan will have a positive impact on students and will also encourage parents from other districts to consider choosing the Smackover School District through School Choice. A key piece to the success of this plan will involve the professional development training of teachers. Reynolds explained that the Smackover School District has already scheduled 3 days of intensive training for 3rd through 6th grade teachers regarding the basics of hardware and Google Apps; instructional strategies of Google Apps; and implementation of lesson plans, tips, and tricks. This three day Google Boot Camp will also be repeated for 7th through 12 grade teachers. K-2nd grade teachers will receive two days of specialized training in utilizing the iPad Minis effectively in the classroom. Additional plans for professional development are being created to support teachers over the next three to five years. The Smackover School District has created a parent survey to obtain feedback regarding this plan. The survey can be found at https://www.surveymonkey.com/s/6FDW2LX . Today (October 31) is the last day the survey will be open. Posted in Buckaroo News on October 31, 2013 by The Buckaroo Blog. October is National Anti-Cyberbullying Awareness Month. We would like to provide the following resources for you to help you make wise decisions with your children about how to safely use the Internet. We know that there are many positive aspects of Facebook, Instagram, Snapchat, and other social media sites. However, we do want you to be aware of the dangers that could happen from the use of these and other available social media. Posted in Buckaroo News on October 30, 2013 by The Buckaroo Blog. 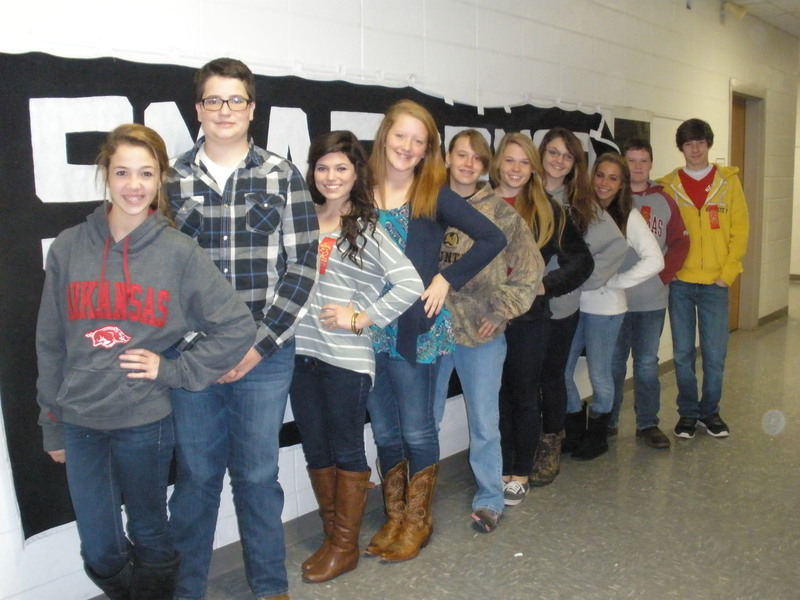 The following students have been elected by their classmates as Smackover High School officers for the 2013-14 school year. 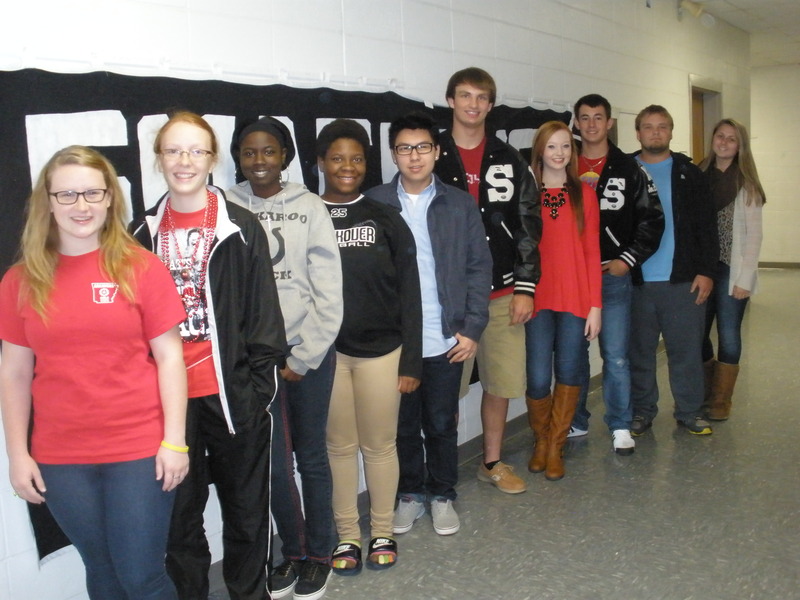 Senior President, Emily Porter; Vice President, Cat Sampson; Secretary, Alesha Billings; Treasurer, Antonisha Barker; Reporter, Troy Dino; Historians, Ty Mullens and not pictured Cordell McDonald. Junior President, Murphy Aycock; Vice President, Logan Clark; Secretary, Joseph Clark; Treasurer, Luke Bussell; and Reporter, Grace Nash. Sophomore President, Madison Neal; Vice President, Reagan Pyron; Secretary, Haley Mullin; Treasurer, Tori McKinnon; Reporter, Krisanna Reynolds. Freshman President, Courtney Davis; Vice President, Elizabeth Harrison; Secretary, Tessa Watson; Treasurer, Drew Crutchfield; and Reporter, Camron Harris. 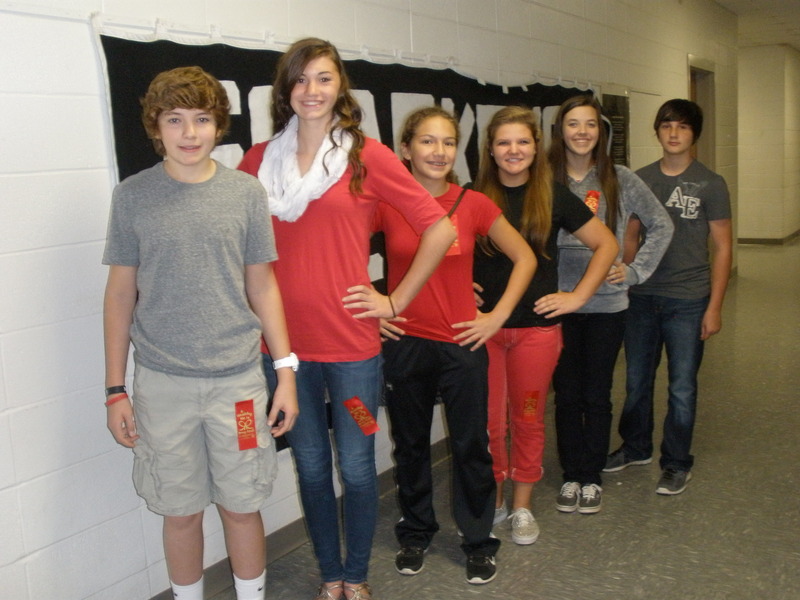 8th Grade President, Colt Aycock; Vice President, Reagan Richardson; Secretary, Precious Dorman; Treasurer, Haleigh Pennington; Reporter, Danielle Lewis. 7th Grade President, Forrest Harrison; not pictured Vice President, Brandon Darden; Secretary, Cole Waxley; Treasurer, William Mitchell; and Reporter, Synard Williams. Posted in Buckaroo News on October 28, 2013 by The Buckaroo Blog. UCA representatives will be in El Dorado on Tuesday, October 29. The evening will start at 6:00 p.m. at the El Dorado Convention Center. This event is for seniors and their parents. Seniors will be able to complete an application on site. UCA will WAIVE the $25 application fee. Also, UCA will have financial aid, housing, and academic information available. See poster outside Mr. Ray’s room for more information. Posted in Buckaroo News on October 27, 2013 by The Buckaroo Blog. The Smackover Chamber of Commerce is sponsoring its annual Trunk or Treat with fun, games, and treats provided by local businesses and groups within the Smackover Community. The event will be held Thursday, October 31, 2013. Concession will be provided by the Smackover Buckaroo Band Parents. Hot cocoa will be served by the Salvation Army. Posted in Buckaroo Community on October 26, 2013 by The Buckaroo Blog. We have had over 100 responses to our technology survey. Your responses have given us a lot of valuable information as we map out our new technology plan. It’s not too late to complete our survey! Please click on the link below to complete this 6 question survey. It will take less than one minute to complete. Information from this survey will be used to help us determine parents’ interest in allowing their children to bring personal technology devices (including cell phones, tablets, and laptops) to school. The survey is open from October 17 – October 31. Please feel free to forward this link to any parents within the Smackover School District through any social media or email. Posted in Buckaroo News on October 25, 2013 by The Buckaroo Blog. The Buckaroo Marching Band participated in the Region 3 Marching Assessment at Camden Fairview High School on Tuesday. They were awarded a rating of “Excellent” at this event. Congratulations to the marching band students and to band director, Allen Simmons.